Monica Grewal’s practice focuses on helping clients identify and protect their intellectual property with an emphasis on strategically building their patent portfolios and intellectual property litigation. She is an experienced attorney who has represented a variety of technology clients, particularly those in the technical and medical fields. Over the course of her career, she has advised on all aspects of intellectual property and has represented clients in patent litigation in Federal Courts and before the International Trade Commission. Ms. Grewal serves as co-chair of WilmerHale’s Diversity Committee. 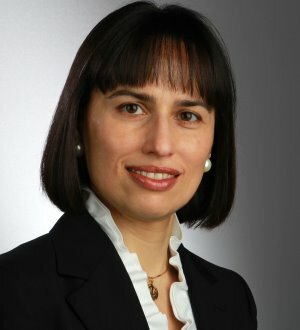 Ms. Grewal has experience with patent litigation in the International Trade Commission (ITC) and in the Federal Courts, involving various aspects of digital camera technology, computer software and hardware, GPS technology, signal processing, electronic devices and wireless communications technology. She has represented clients such as Eastman Kodak Company, Broadcom and Intel in a variety of jurisdictions. Successfully represented three multinational technology companies in a Section 337 proceeding brought by a company that develops passive component solutions for the electronics industry. The ITC issued a final determination terminating the investigation with a finding of no violation (2012). Successfully represented a digital camera technology company in an action filed against two cellular handset manufacturers resulting in a finding of a violation based on infringement of two patents in a Section 337 proceeding before the ITC. A corresponding patent infringement action was withdrawn prior to the final hearing in Dusseldorf, Germany. Kodak v. Samsung/LG (2009). Successfully represented a manufacturer of GPS chips in an action against a competing GPS chip company resulting in a finding of a violation based on infringement of six patents in a Section 337 proceeding before the ITC. Broadcom v. SIRF (2008). Obtained a summary judgment of non-infringement on behalf of a camera manufacturer in an action brought by a non-practicing entity in the District of Delaware and a summary affirmance by the Federal Circuit of a patent relating to electronic image storage systems. Successful in having a related ITC litigation withdrawn in favor of the client.